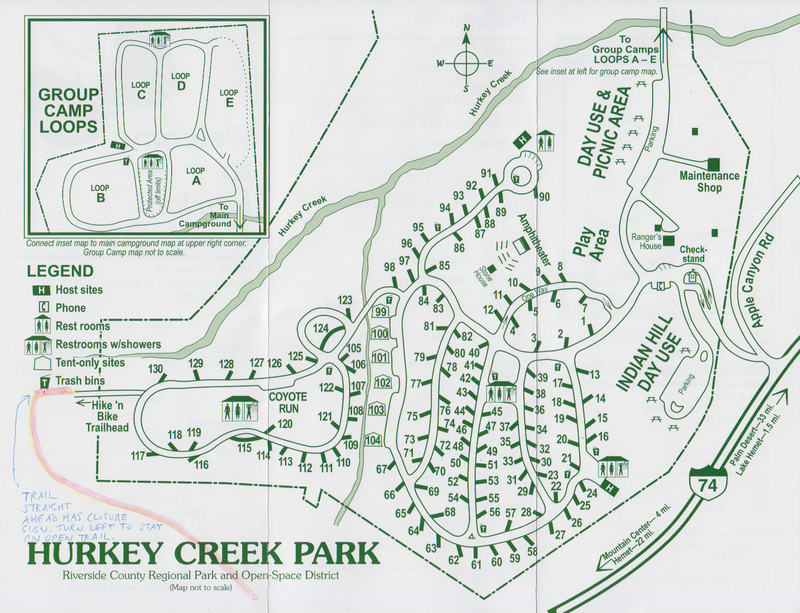 This past weekend our Cub Scout pack went up to Hurkey Creek Park for our camping weekend. We brought our mountain bikes, as I had heard that there were a lot of mountain bike trails nearby, since the 24 Hours of Adrenaline mountain bike race used to be based here. 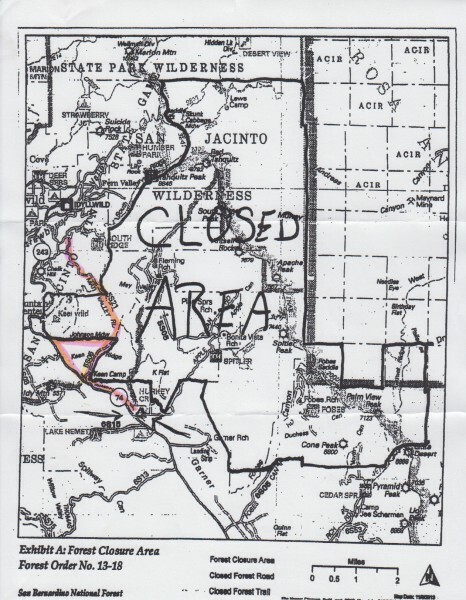 Trying to find trail maps and conditions online was surprisingly challenging, especially since a lot of the trails are closed due to a fire from a year ago. So I asked at the Ranger Station at the park, and here’s what I got. The first was the park map with the trail highlighted in yellow. (I went over the yellow with pink for better visibility, and I added some notes.) You enter the trail past campsite 130, and then after a few hundred feet you see a trail closure sign straight ahead. However, at that point you turn left, as that trail in that direction is still open. That takes you on the trail paralleling 74 towards Keen Summit. 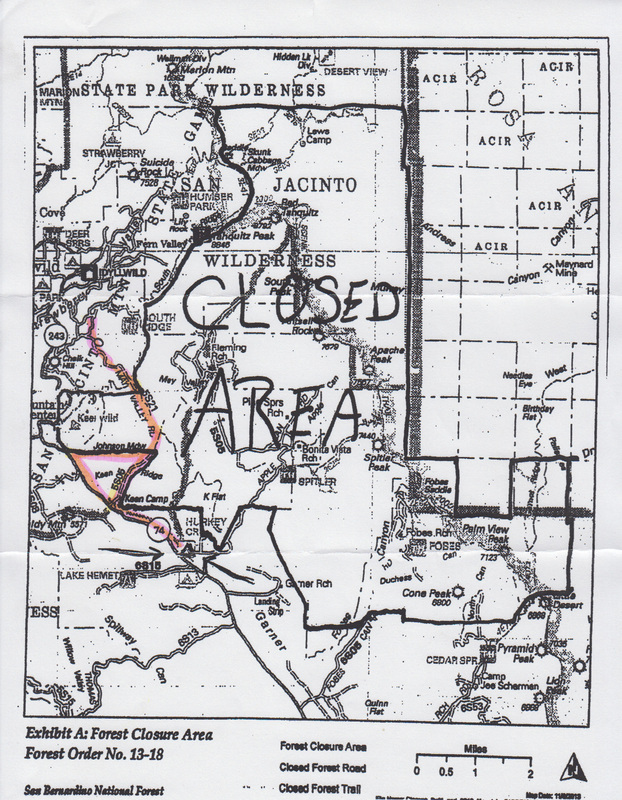 The second map showed the fire closure area, which is quite extensive. 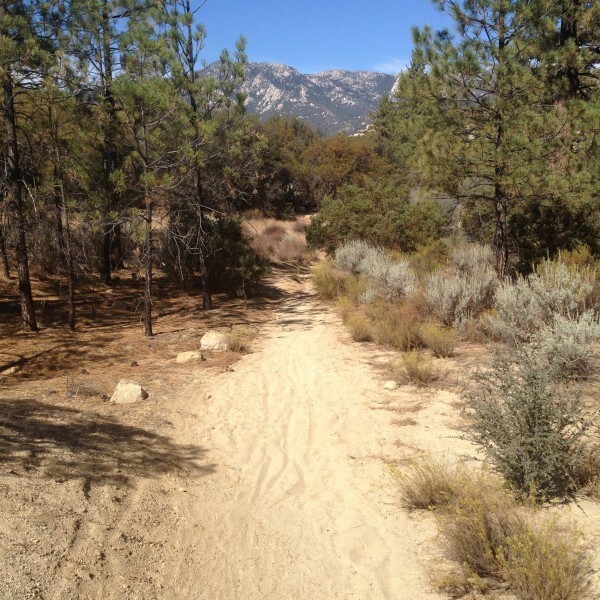 The options are to continue on the trail paralleling 74 to Mountain Center, or take Forest Service road 5S05 to 5S21 towards Idyllwild. So that’s it. Pretty much everything else is closed due to the fires. So how were the trails? I rode out for a little bit. Quite a bit sandy for my tastes. So I ended up bailing and heading back to camp. To be fair, I’m on the road bike 99% of the time, and the 1% of the time I’m on my mountain bike I’m usually on fire roads. So take my observations with a grain of salt. Though now that I’ve started running about a year ago, when I see a nice trail, my instinct now is to grab my running shoes rather than my mountain bike. 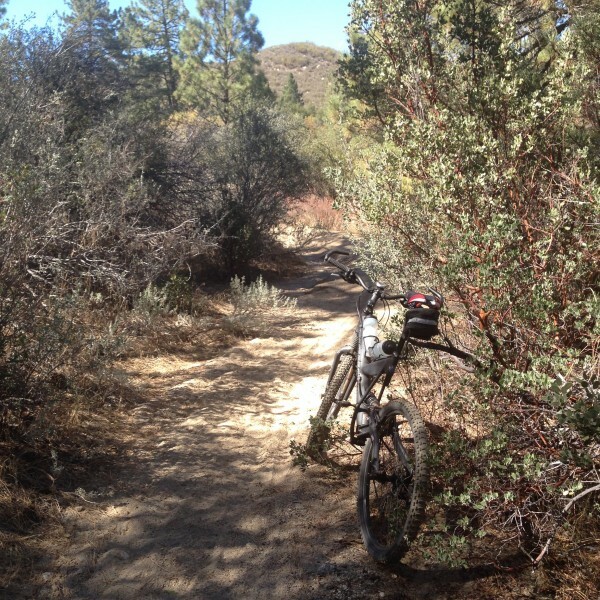 This entry was posted in Bicycling on October 5, 2014 by BikingBrian.